-- Select a Size/Color -- X-Small - Out of Stock! Small - Out of Stock! Medium - Out of Stock! Your pup will look adorable and colorful in this Pink and White Stripes Pet Dress by Pawpatu! This fun and colorful pink and white striped dress is perfect for special occasions. 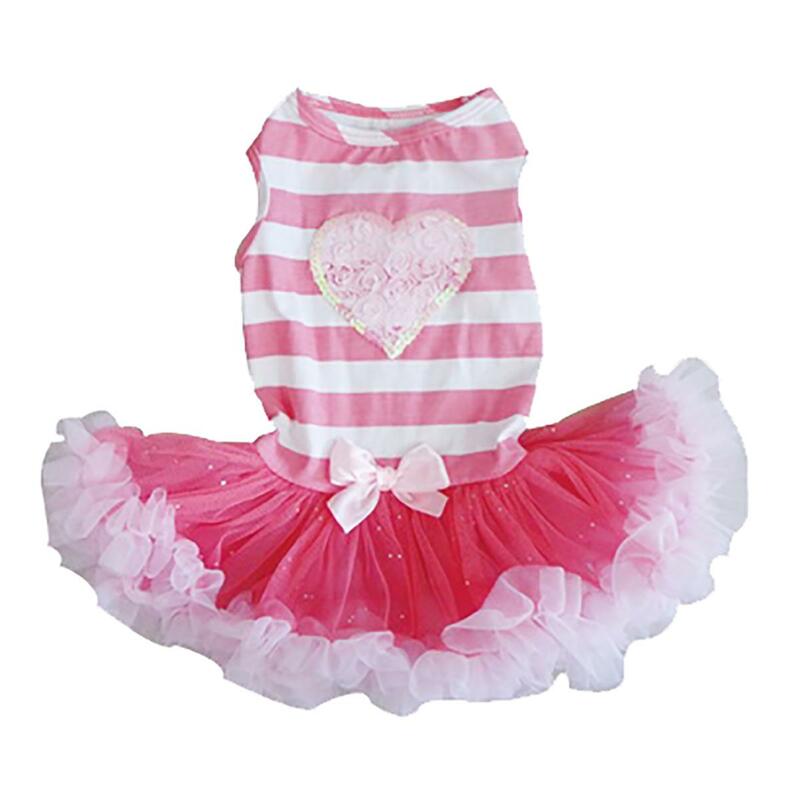 This dress has a pink and white striped bodice and soft tulle skirt with a white ruffled trim. The cute heart design on the top adds a sweet touch. The perfect outfit choice for your pet during any outing. Pink and White Stripes Pet Dress by Pawpatu Customer Photos - Send us your photo! Chloe loves her sassy striped and frilly dress! Sassie Sophie in her cute striped dress. Very comfy stretch cotton, great fit! Great prices with a promo code!